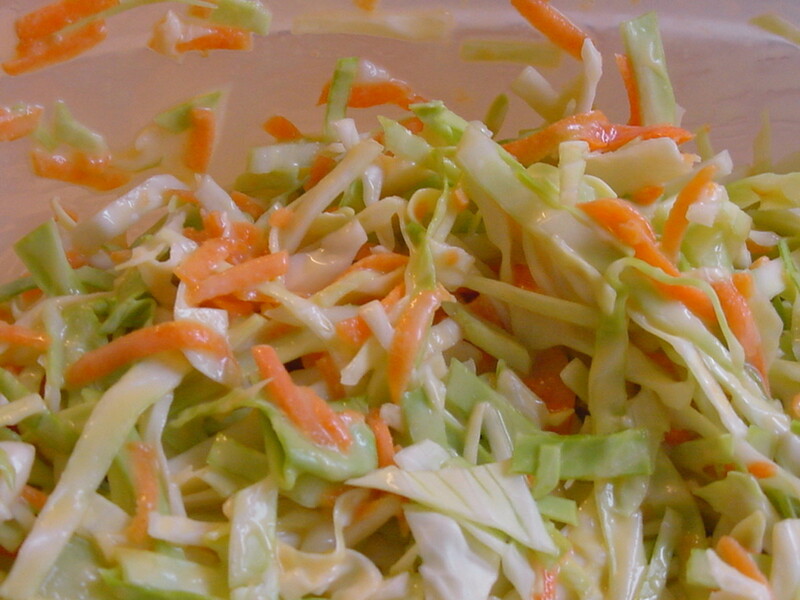 In this article, I will show you how to make a traditional homemade coleslaw. 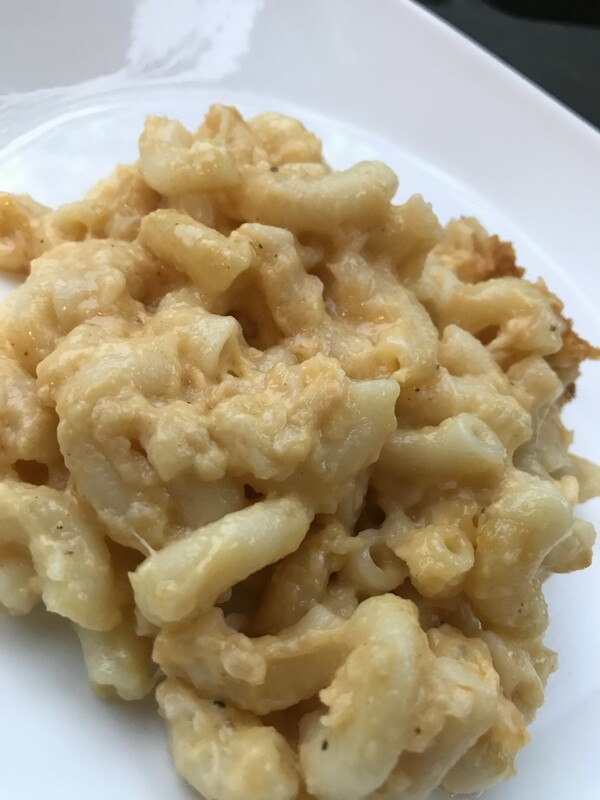 I have included step-by-step instructions, photos, and videos so you can easily follow this recipe. 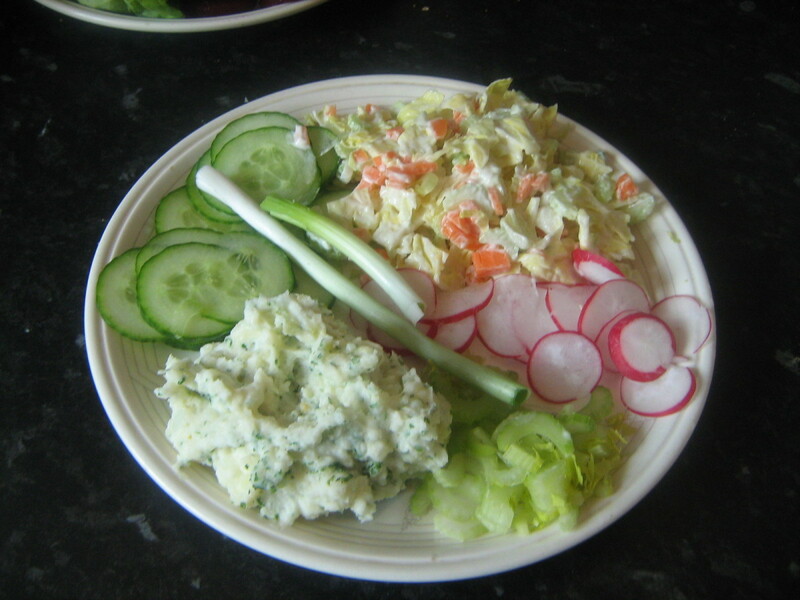 There are also ideas for how to make sandwiches with this coleslaw. Cut up the cabbage into strips and then turn around and cut up again. This will give you finally chopped pieces of cabbage. Cut the ends off the carrots and peel. Cut the carrots in half. Slice them length ways, and then cut them into tiny squares. Mix the cut cabbage and carrots together. Peel the spring onions and cut off the end where the roots are. Be careful to keep as much of the bulb as you can. Use all the bulb and the green stalks, these are both delicious so do not waste them. 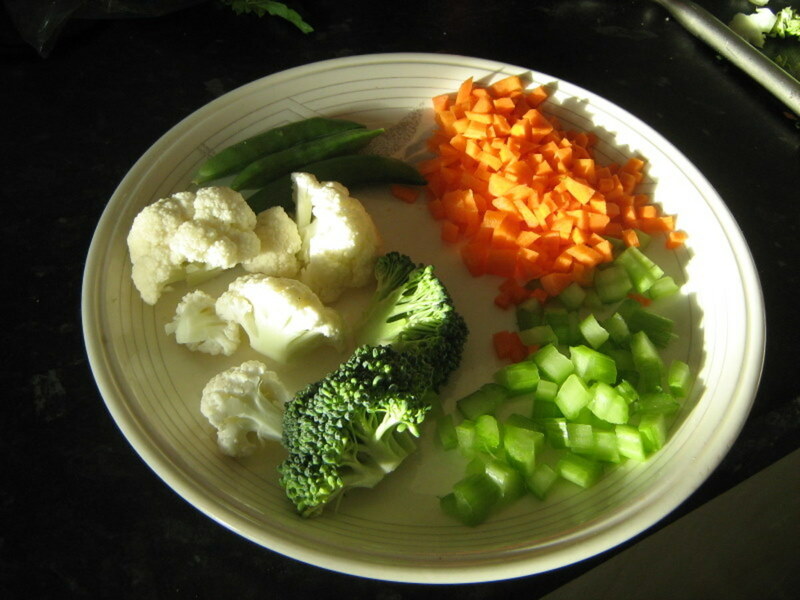 Cut them into small pieces and add to the cabbage and carrots. Now you have the basic ingredients for coleslaw. Two members of my family prefer this on its own. 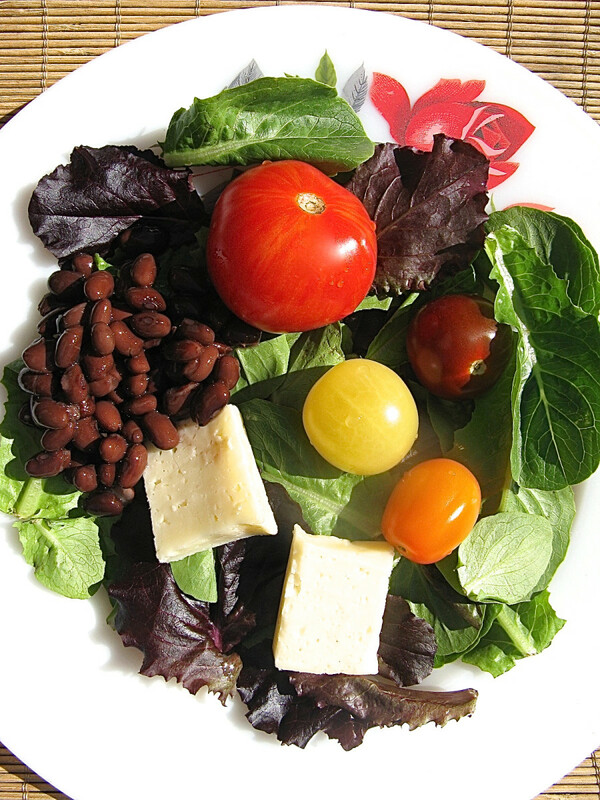 Take out whatever amount you need for each portion and put aside. 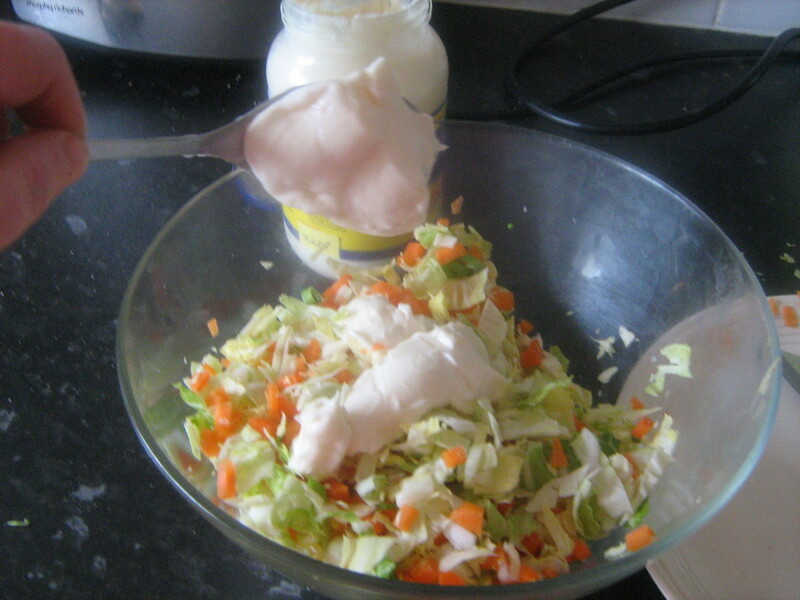 Add the mayonnaise to the basic coleslaw. I use a spoon and then mix it well in, making sure all the vegetables are covered. Cut off two large pieces of celery and wash under the tap. Cut them length ways into three long pieces. Cut the celery sticks into small squares pieces. Add to the basic mix. Take off a few florets of cauliflower or broccoli and run under the tap. Cut them up into very small pieces. Clean the beans under the tap and cut into small pieces. 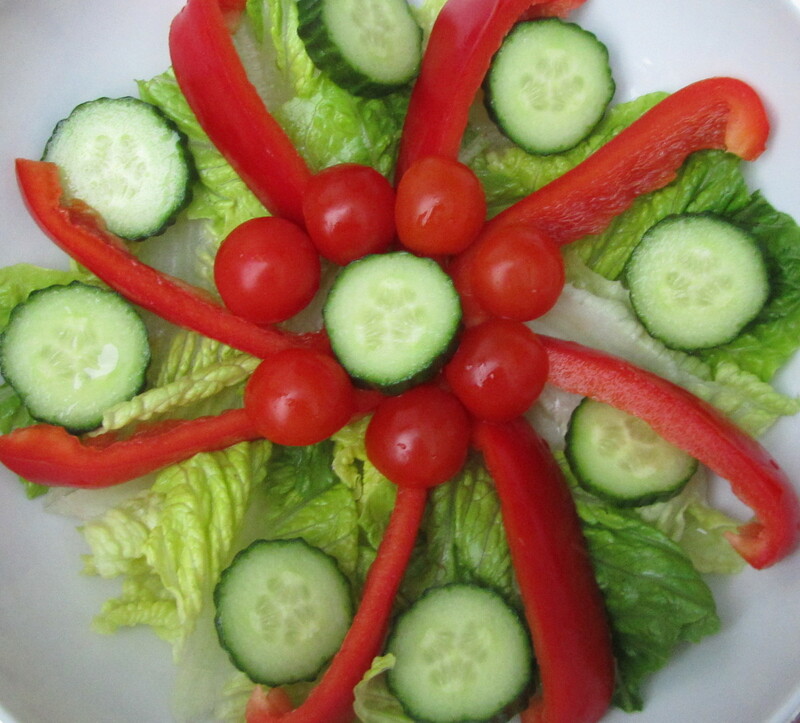 Once you have decided which vegetables you want to add to the coleslaw then you can add the mayonnaise. I find it is always best to make the coleslaw and leave in the fridge at least an hour before you are ready to make the salad sandwiches. This gives the ingredients time to settle and the flavors to combine together. Butter your bread, muffins or baps and add the ham, cheese or beef. Wrap in sandwich bags with the name of the person on it. Once all the sandwiches are made put them in another larger bag and leave in the fridge. Take them out of the fridge when you are ready to leave for that walk in the park or up the mountain with your homemade picnic sandwiches. Is mayonnaise the only sauce needed to make traditional creamy coleslaw? Yes, I use only mayo to mix in with the vegetables because it really brings out the flavor. 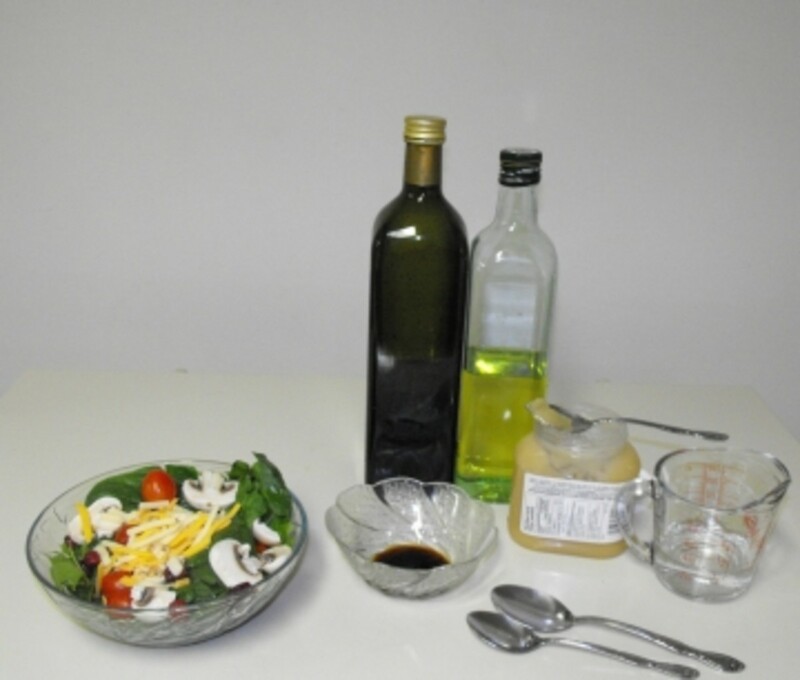 But if you prefer, you can also include sour cream, vinegar, or sugar for the dressing. Whatever recipe suits your taste is fine. There is nothing like eating your own homemade coleslaw on sandwiches at a picnic. But as Patty has demonstrated care must be taken that all food is kept cool before eating. We bring two ice bars from the freezer and put the food in a special cooler bag too. These picnic food ideas look just wonderful. I love cole slaw on hot dogs. I have never considered putting green onions in it, but I think I will try it! I remember that I ate veggie burgers with coleslaw and it was indeed yummy! Your coleslaw and sandwich recipes sound healthy and delicious. These recipe ideas are ideal ideas for picnics. The photos look very appetizing! An engaging read. Well-done! These look incredibly delicious, but a friend died one August from eating mayonnaise on a picnic in the sun, because of bacteria forming in the raw eggs in mayo. We use vinegar instead of mayo in hot weather for taking out of doors in July and August. Will try your recipes though! Thank you for sharing. 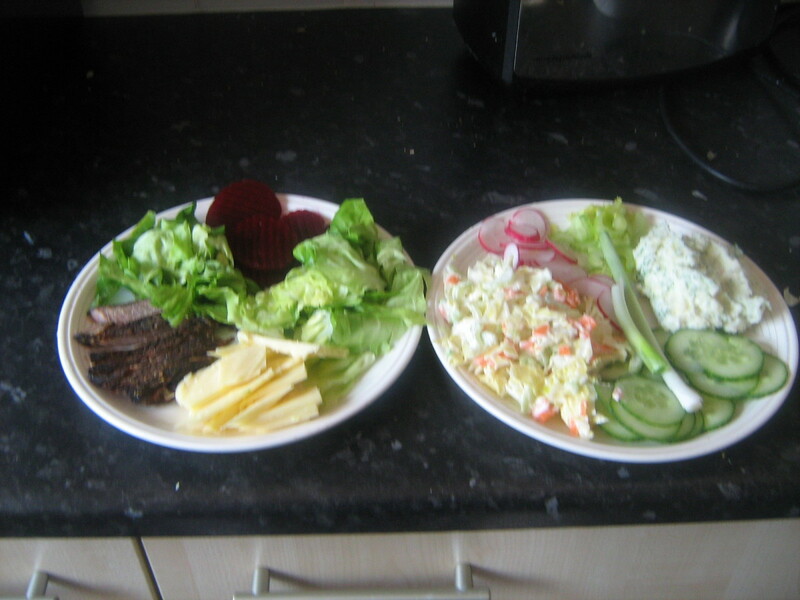 I love coleslaw and self-made sandwiches as I can put whatever I like. Voted up and useful. 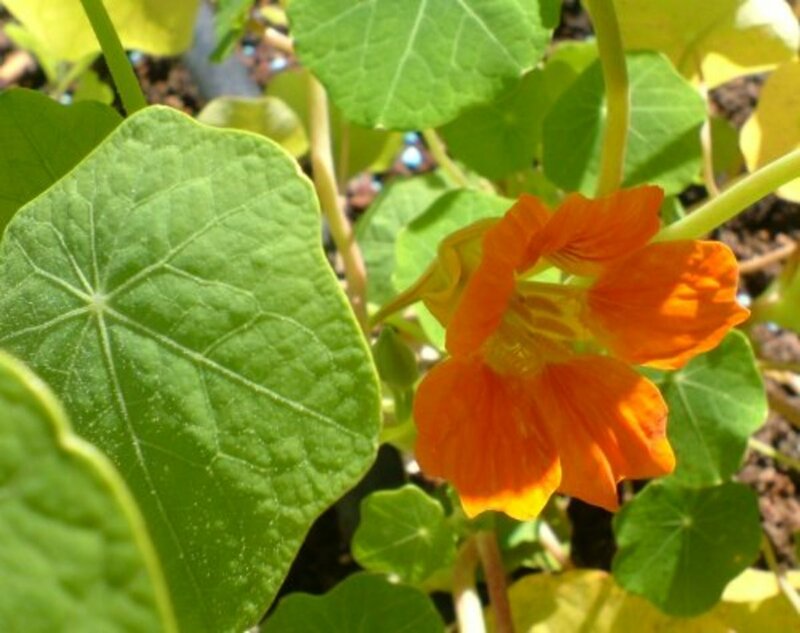 Thank you for sharing these great recipes. Very useful hub :) Voted up! Spring time is also a lovely time of year for a picnic. And when you have great homemade sandwiches and scones it is always a pleasure. Good simple recipes. I can't remember the last time I went on a picnic. May have to make the effort soon, it is nice during the summer. FordeAhern, Thank you for your kind comment and your votes. 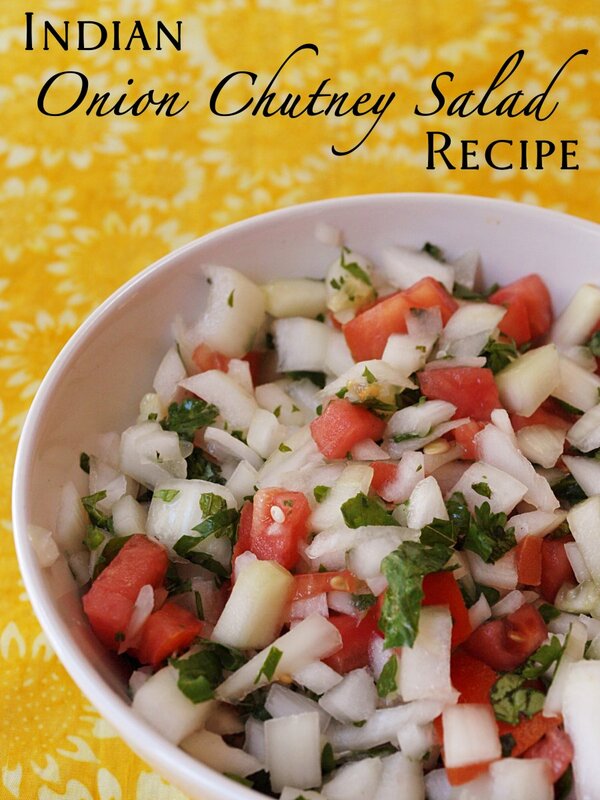 Great recipe and my wife adds cucumbers, tomatoes, and sometimes green peppers to her cole slaw. It is a big hit for our family. Thanks for sharing.